Nadine Hübner is the soul of the Horse Agency at Caballo Horsemarket. 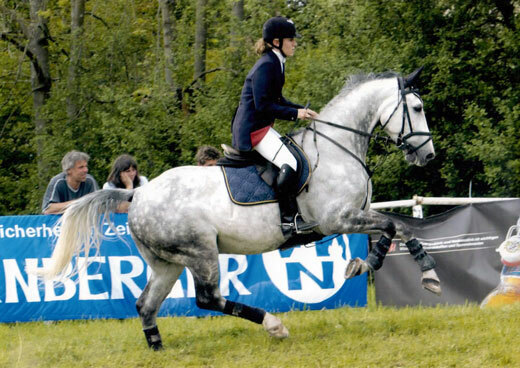 She is very dedicated to the task of bringing a horse and an equestrian together in a harmonic symbiosis. Her background as a professional rider provides her with the know-how and insight to understand the wants and needs of our clients. 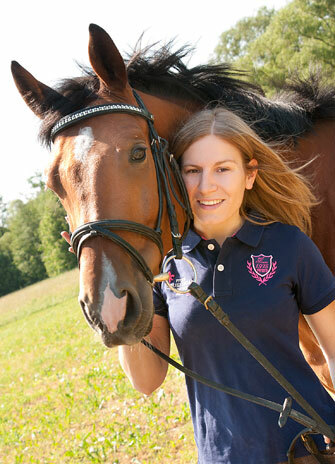 In addition, Nadine is very knowledgeable and passionate about horses and their training. After having participated in professional tournaments for many years, she discovered her interest in breaking and training horses for tournaments. With this background, Nadine is able to advise our clients on any matters related to young horses, their needs and their potential. Would you like to know more about Nadine, her qualifications and her prestigious education? How does the horse agency work? "Watching a horse being born, growing up, until the day when you can sit on its back for the first time – this journey bears many joys and wonderful moments."